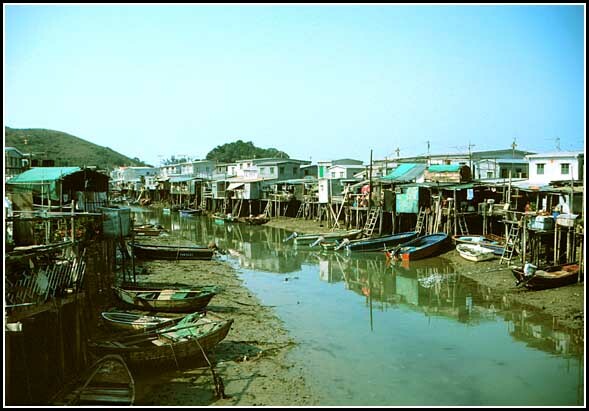 Tai O is just about as far away from the hassle and noise of Central Hong Kong and Kowloon as you can get! 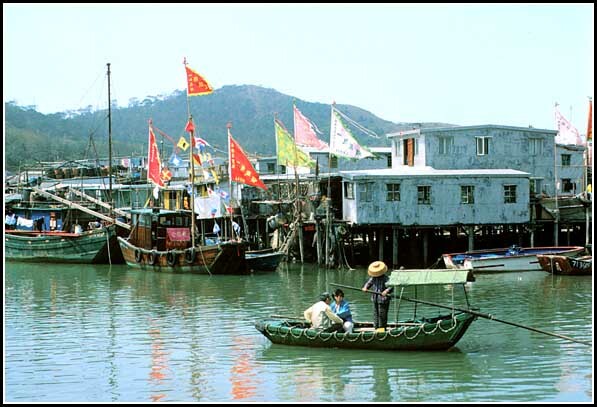 That keeps it safe from the bulk of the millions of Hong Kong tourists, who never get so far, - and that makes Tai O unspoiled,- and a truly great place to visit for the serious traveler. 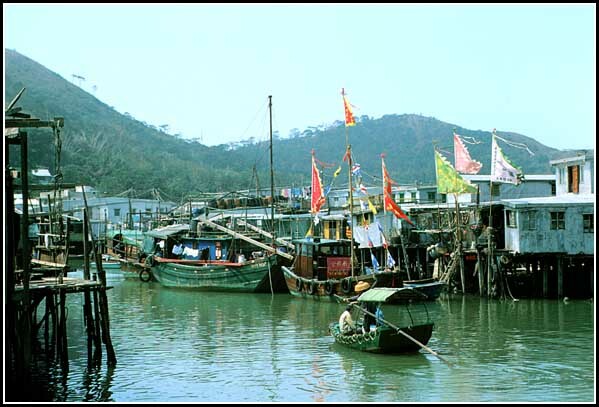 It is a small island separated from Lantau island by a narrow stretch of water where the main village of Tai O is situated on both sides of the canal. 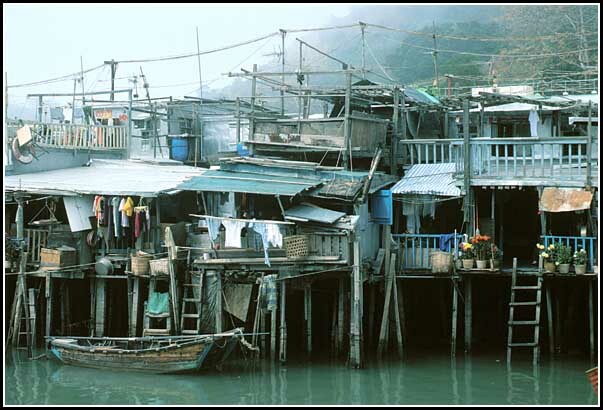 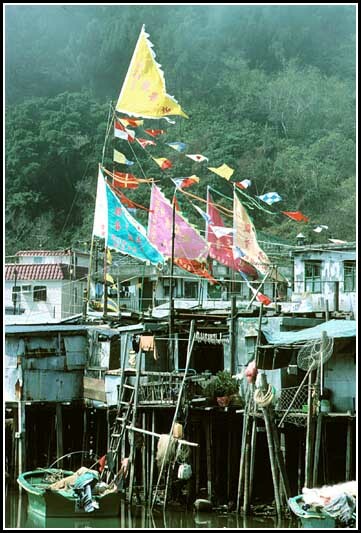 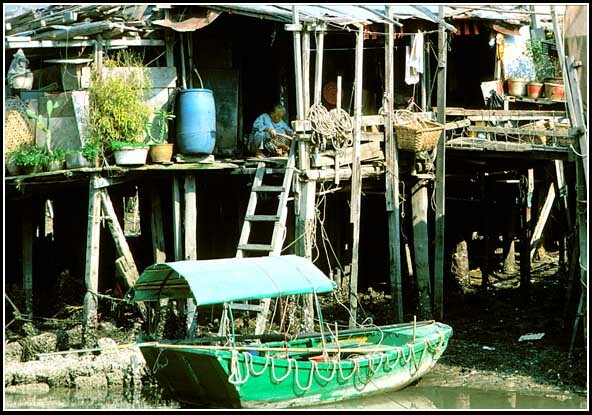 Tai O is a traditional fishing village, and most interesting is the houses on stilts on both sides of the canal, inhabited by the Tanka people,- fisher folks and decendants of Hong Kong's first settlers. 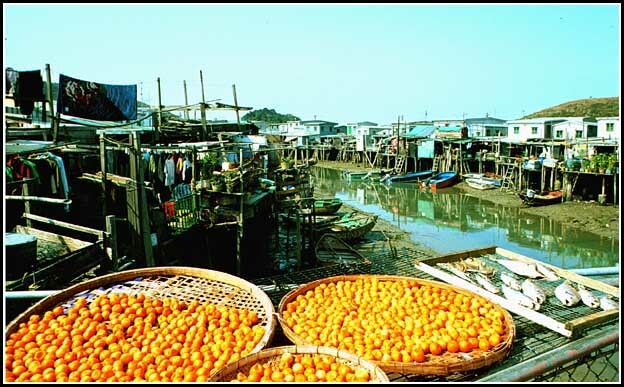 Look at the surprise I have for you on the last page of the Tai O section! 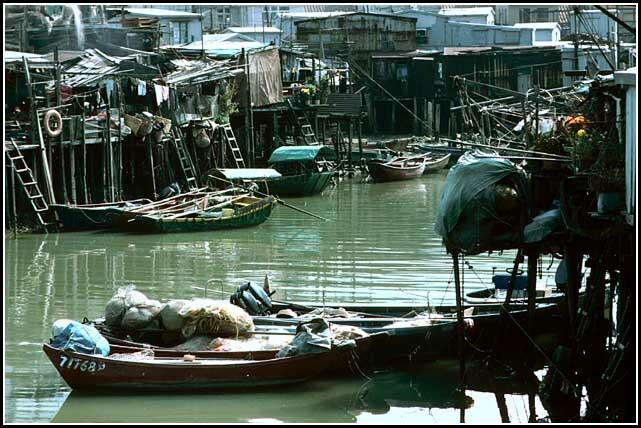 Click HERE for "A Smugglers Tale"